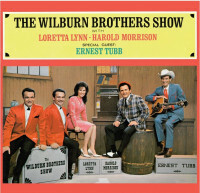 The Wilburn Brothers were Virgil 'Doyle' (born July 7, 1930; died October 16, 1982) and Thurman Theodore ('Teddy') (born November 30, 1931; died November 24, 2003). Both were born in Hardy, Arkansas, into a musical family that also included older brothers Lester and Leslie, and sister Geraldine. 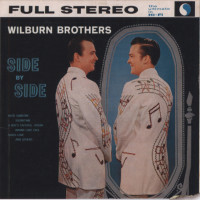 Beginning in 1937, they performed together as the Wilburn Family. Singing in venues ranging from school auditoriums to radio stations, they were eventually noticed by Roy Acuff. His recommendation led to a six-month stay on the 'Grand Ole Opry,' a stay cut short by pressure from anti-child labor groups. In 1948 the brothers were invited to join the 'Louisiana Hayride,' where they befriended an as yet unknown Webb Pierce. Both Doyle and Teddy had been drafted into the military when in 1952 Pierce's Wondering became the first of his three consecutive #1 songs. Released from the service, the brothers rejoined the 'Grand Ole Opry' in 1953. A year later they began a two-decade recording career with Decca that would give them more than 30 chart entries. Hurt Her Once For Me [#3 in 1966] was their highest placed single, but in 1955 they were credited with 'harmony vocals' on Webb Pierce's In The Jailhouse Now, a song that spent an incredible 21 weeks atop the Country Chart. 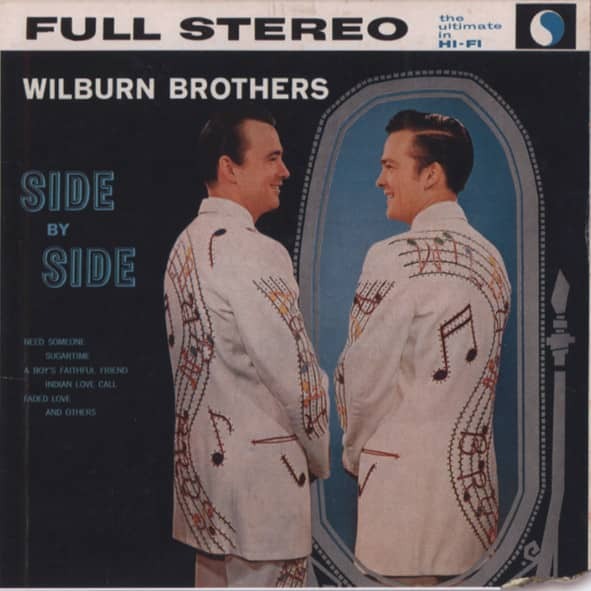 With their impeccable country roots and musical credentials the Wilburn Brothers may have surprised some DJs and fans with their 'less than hawkish' Vietnam-related sides. The first, the title track from their 1970 LP 'Little Johnny From Down The Street,' told of a rambunctious boy, always in trouble, who as a young man gets drafted. The song ends with the lines, "Who is it won't be coming home, died in a foreign land all alone? Little Johnny from down the street." The song made it to #37. When they released The War Keeps Draggin' On, the Paris Peace Talks had already been in progress for almost three years. It would be another year before the Peace Accord was signed. Kundenbewertungen für "Side By Side - Teddy & Doyle...plus"